Benedict XVI wants to leave the house in good order What will the conclave be like? What will the next Pope be like? Cardinals were already talking about it, long before the Swiss Guards closed the gates of the Pontifical Residence in Castel Gandolfo – at 20:00 on Thursday, February 28. From that moment, the Sede Vacante period officially began. In fact, by the time the General Congregations of Cardinals begin, many would have already put together a picture of what are the challenges Benedict XVI’s successor will have to face. So far, two possibilities have emerged regarding the profile that the Pope’s successor must have. The first is for a candidate who would follow the path traced by Benedict XVI, i.e., a pope strong in faith, an excellent organizer, courageous, and relatively young (between 60 and 70). Certainly, Benedict XVI did not sketched out precisely the profile of his successor. But one can deduce it from the speeches he delivered from the time he announced his decision to renounce to the Petrine Ministry. He was retiring –Benedict XVI explained in his announcement at the ordinary public consistory, on February 11– because he was not strong and vigorous enough to carry forward a pope’s responsibilities. The Pope then underlined –during the meeting with the Roman clergy– the need for a «truth operation» to reclaim the message of the Second Vatican Council, a message that had been hijacked and distorted by the media. Ultimately, he inserted –in all of his last speeches– brief curia-related remarks, which the curia took note of. The last one was his loud and clear gratitude to his collaborators, during the farewell ceremony with cardinals on the morning of February 28. It is time for a clean up in the curia, for an orderly and fundamental change in the establishment. Wojtyla time’s people are still too ubiquotous to conclude that his era has really come to an end. Proof of it is that Angelo Sodano will manage the pre-conclave. He is the Dean of the College of Cardinals and a former Secretary of State. Sodano cannot take part in the conclave because he is over 80 years old. Even the former Prefect of the Congregation for Bishops, Giovanni Battista Re, is still active: he will be the dean inside the Sistine Chapel. That two men of the old establishment still hold substantial responsibilities is quite unusual. This clearly shows there is a need for a reformer. For someone who knows the curia but is not a part of it. It is difficult to find a cardinal with these characteristics, on whom the votes of the college can converge. The conclave is above all a spiritual event. It begins with a solemn mass (the missa pro eligendo Romano Pontifice) concelebrated by all the cardinals of the college. Then, in the afternoon, voting cardinals march into the Sistine Chapel in procession –following very ancient and well-structured precedence rules– while they sing the Veni Creator Spiritus. Before and after each vote, the cardinals pray. The conclave is all of this. But a pope’s election is also born out of circumstances. Chats, informal meetings, anecdotal information, can move a «block of cardinals» to vote for one rather than another candidate. There are few candidates who could succeed Benedict XVI, if they are to possess all the skills in the “list of requisite” the Pope implicitly suggested for his successor. None of the cardinals enjoys a broad consensus, at the moment. Marc Ouellet, Prefect for the Congregation of Bishops, does not enjoy the sympathy of many because of some of the decisions he has taken at this post. Odilo Scherer, archbishop of Sao Paulo, recently faced controversy with the Catholic University in his archdiocese, when he set aside the results of elections to chose the university’s president to appoint his own candidate, making the students very angry. Petr Erdo, archbishop of Budapest, is a skilled canonist and an excellent manager whose impressive intellect lead him to become a member of the Hungarian Academy of Sciences. But he would be the second Pope coming for the Eastern Europe in a short period of time, and this can in fact reduce his possibilities of being chosen. There are also “classical” candidates (Maradiaga, Scola, Schoenborn, Sarah, Tagle) but none of them enjoy the esteem of the whole College of Cardinals. And so far, outsiders remain dark horse candidates. Even if a surprise cannot be excluded. Ultimately – Card. Giuseppe Siri used to say – «A conclave gives birth to a pope.» And here we come to the second possibility regarding the profile of the next Pope –discussed by some in cardinals’ inner circles. This option would be to choose a second Roncalli (who became Pope John XXIII). That is, a very old Pope, a “transition figure” able to innovate, as John XXIII did. No one has mentioned who this cardinal could be. But in fact most of the cardinals would converge in such an option. No surprises can be excluded in this regard either. This was one of the pivotal issues discussed at the informal General Congregations. 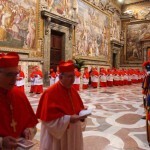 Waiting for the arrival of all the cardinals, Sodano convoked a first informal meeting for Friday morning. 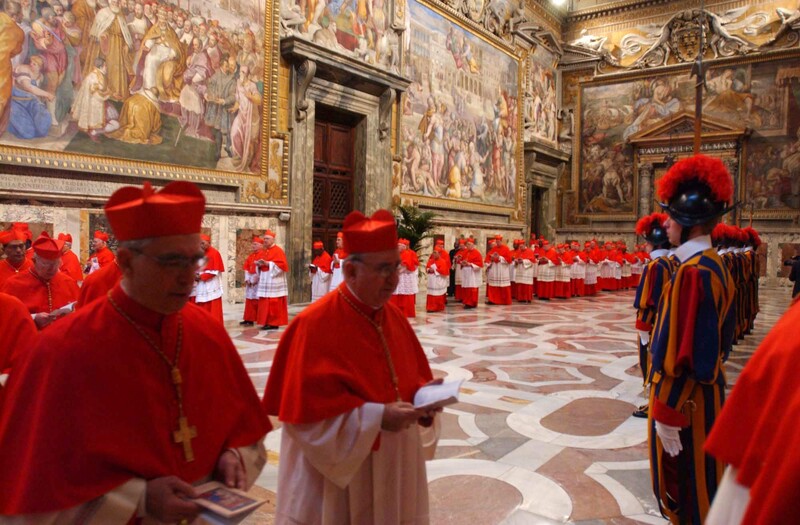 Albeit almost 100 electing cardinals were already in Rome, the curial cardinals in particular seized the occasion. They talked about a possible date for the beginning of the conclave. The general view was to begin the conclave on Monday, March 11th, after a week to talk about the problems that the Church faces. American cardinals, on the other hand, asked for more time. Do they want to organize a network to back a candidate of their own? Maybe the next pope will be able to overcome this sense of being at a loss. And Benedict XVI may be able to help him: the Pope Emeritus will be back in Rome in two months. The new pope will be able to ask Benedict XVI for guidance. Ratzinger will reside within Vatican City walls, a short –and discreet– distance from the Apostolic Palace. One Response to What will the next Pope be like?